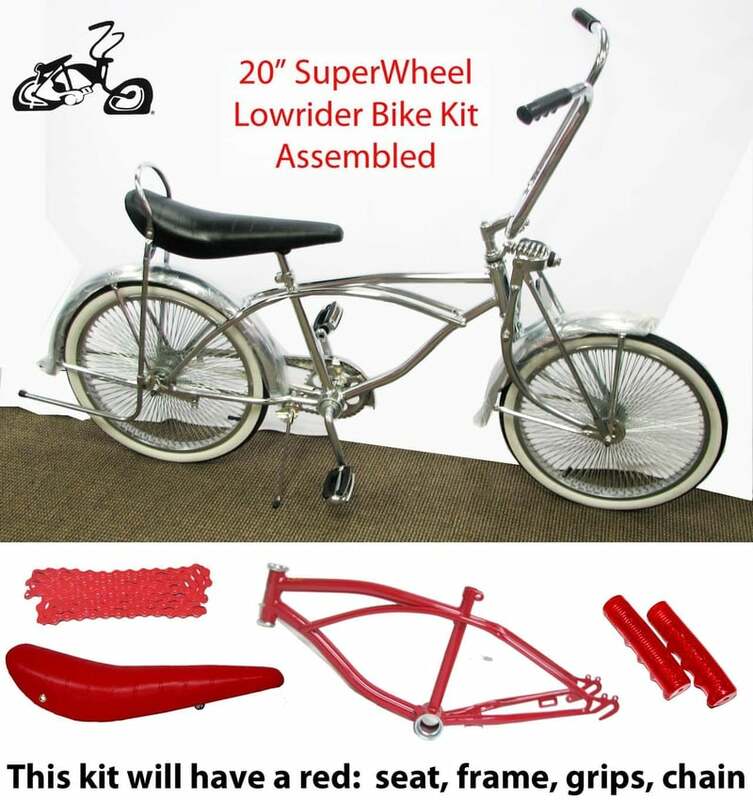 This lowrider bike kit has all the parts needed to build a 20" lowrider bicycle. Enjoy building your lowrider bike with a person who is experienced with single speed bicycles. Easy to learn.